AVIVA Strings wins Best of Borrowed & Blue for Philadelphia! AVIVA Strings is a Best of Borrowed & Blue Philadelphia Gold Medal winner for 2017! A Best of B&B award is the equivalent of a Michelin star in the wedding world: it identifies only the most talented, well-respected vendors in all of Philadelphia. How do we know? The winners have been chosen by Philadelphia vendors themselves. Unlike any other industry awards out there, Best of B&B allows vendors themselves to choose the brightest stars (of the Gold, Silver, and Bronze varieties) from among their colleagues. As a result, these honors illuminate the cream of the wedding vendor crop. After all, what could be a more legitimate honor than a pedestal built by your peers? It's a royal feast of planning insight: know-how taken from those in the know. AVIVA Strings violin & cello duo accompany our beautiful fall bride down the 'aisle' at the historic Duportail House outside of Philadelphia. Photo courtesy of Kristland Lee Photography. Happy Friday everyone! A quick update to mention that we've added a bunch of reviews (and pretty photos) from some of our recent AVIVA Strings wedding clients to our client LOVE page! 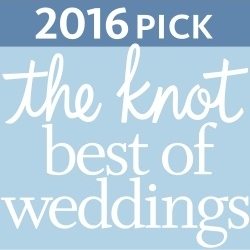 Some of our more recent accolades include praise for one of our string duos from a snowy Philly winter bride (and omg the photo in the snow! be still, my beating heart; you can read the Real Wedding blog post HERE for more on that perfect day), beautiful words from another fall Philadelphia bride (did we mention that we <3 <3 <3 fall weddings?) 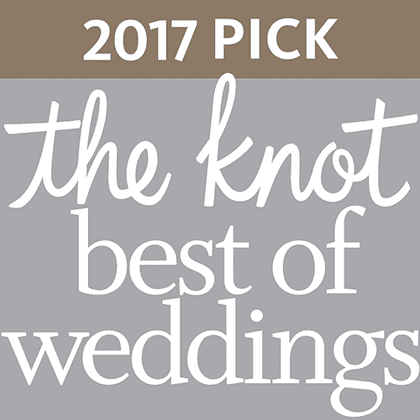 who was married at the historic Duportail House, thanks from our most recent Scranton couple who said 'I do' at the Radisson Lackawanna Station Hotel to the beautiful sounds of their string trio, and our super sweet couple who exchanged their vows in the chapel at the Freedoms Foundation in Valley Forge! AVIVA Strings violin & cello duo, performing for a beautiful, snowy Philadelphia wedding. It is unusually warm outside, so lets FBF to about this time last year, to one of the most exquisite, snowy Philadelphia weddings EVER! This beautiful couple was supposed to get married at Church of St. Martin-in-the-Fields on the Saturday of Philly Snowpocalypse back in January. With all of the patience and composure of a saint, our rockstar bride rolled her entire wedding back to Friday without missing a beat. Even with all the snow, our amazing Philly bride didn't miss a beat! Our couple honored their Irish heritage with a string duo rendition of Danny Boy. Other ceremony selections included AVIVA Strings' arrangement of Leonard Cohen's Hallelujah for violin & cello, Vivaldi's Four Seasons, and the beautiful, traditional Irish hymn, Be Thou My Vision. AVIVA Strings violin & cello duo perform for this gorgeous Philly wedding! Photography is by the immensely talented Justin Johnson Photography and those perfect blooms are the magical work of Julie D'Agostino Designs. And of course, elegant ceremony strings by AVIVA Strings. AVIVA Strings provides elegant, live strings for weddings, events and special occasions throughout all of Philadelphia, the Lehigh Valley, Allentown, the Poconos, Northeastern Pennsylvania, Wilkes-Barre, Scranton, and beyond!